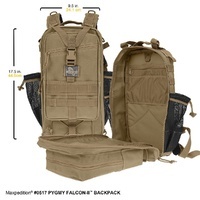 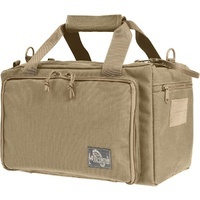 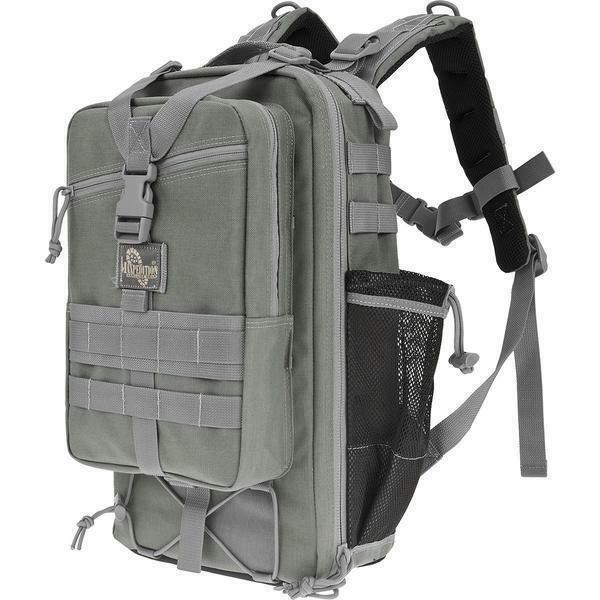 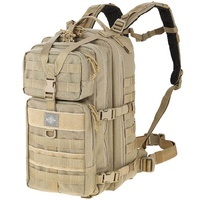 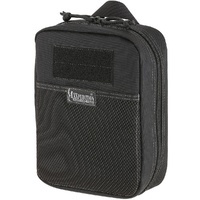 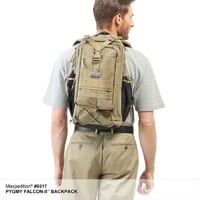 A compact rectangular urban day pack with distinct military styling and 1100 cubic inches (18 liters) of carry capacity. Pack for a day out or an overnight and take along plenty of water, as the Pygmy Falcon-II is equipped with dual side mesh pouches to accommodate two 32oz / 1L water bottles. 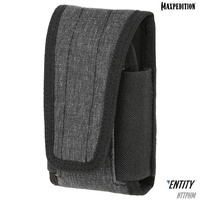 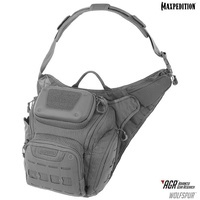 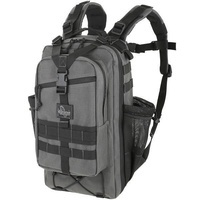 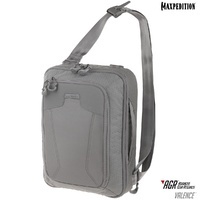 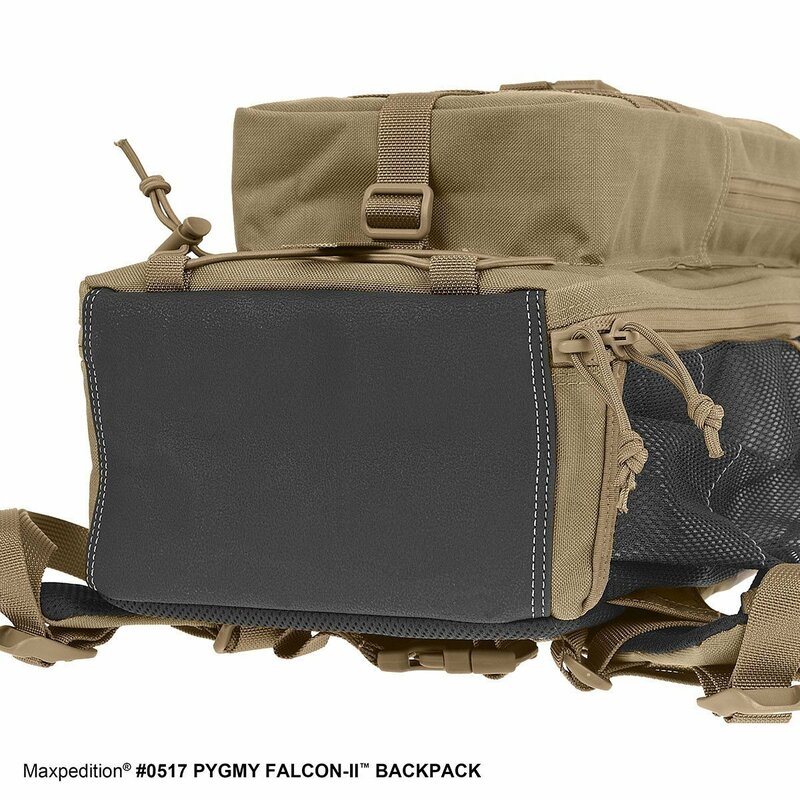 The Y-shaped compression strap that Maxpedition is so famous for contributes to the bag's form and structural integrity. 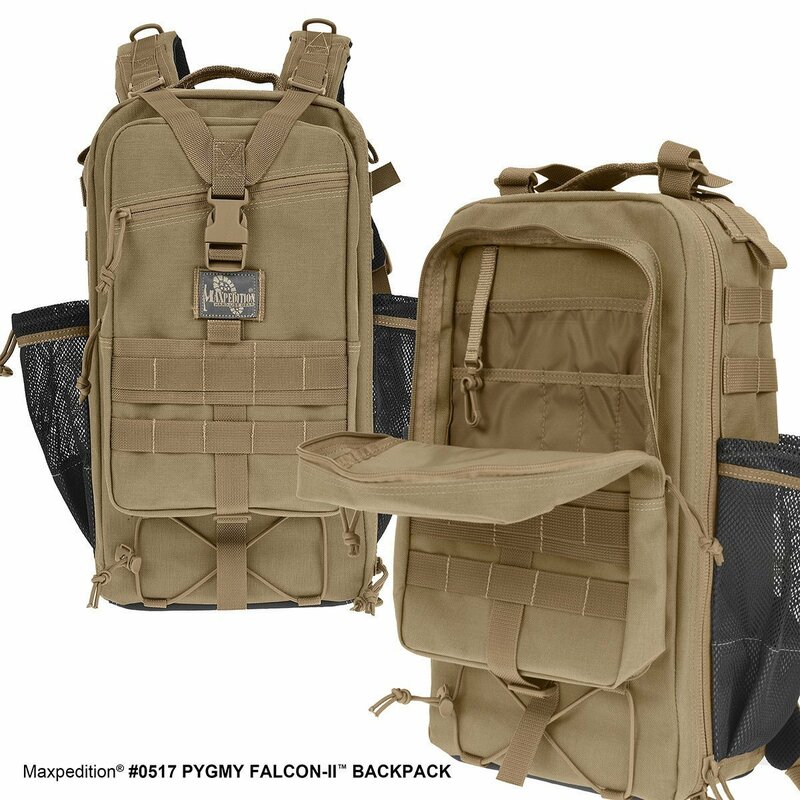 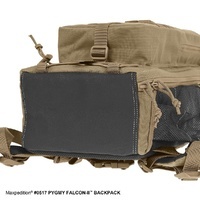 The Pygmy Falcon-II has exterior PALS webbing for adding on other Maxpedition pouches and accessories, using 3" TacTie Attachment Straps and 5" TacTie Attachment Straps. 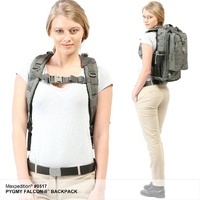 It's the perfect everyday backpack with comfortable back padding and ergonomic, supple curvaceous straps and sternum support minimize any stress on the shoulders. 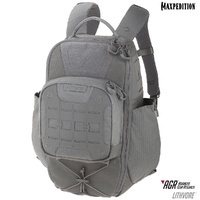 Made with high quality nylon stitching, self-repairing YKK zippers and a durable water-resistant exterior; Maxpedition backpacks have multiple compartments and pockets and offer plenty of space for mission essentials, camping gear, hydration reservoirs, laptops, textbooks and CCW.